The good relations between the United Kingdom and Colombia were much in evidence during a UK delegation to Colombia on 3-4 May 2016. The delegation was led by The Lord Mark Price CVO, appointed as Minister of State for Trade & Investment in April 2016. The minister has brought renewed energy to using the UK’s resources to help build better trade relations with international partners where priority improvements can be achieved in employment growth areas such as healthcare, infrastructure, education, transport and clean energy, all subjects where capacity building can contribute to peace and stability for Colombia. BISEN was there to promote the capability solutions of its members particularly for quick implementation in the post conflict period through the provision of access to healthcare. Many of the areas have poor roads and infrastructure. Improvement in routes between these areas and the rest of Colombia will allow better community engagement and the free flow of legal trade and prosperity to be more uniformly distributed. The road network will take time to build but the river network has good near term potential for craft that can operate at all river water-levels. Hovercraft could provide a versatile solution and be quickly implemented. 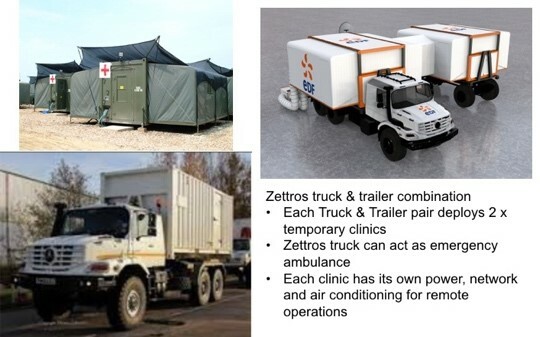 Early implementation of the solution could be based on UK experience gained by Weatherhaven in Afghanistan and other difficult environments through the deployment of medical teams using self contained and ruggedised medical clinics either by road or by Griffon’s hovercraft. Opportunities for the group include safe passenger and freight river transport, secured infrastructure, healthcare, community clean energy, education & training and sustainable long-term employment generation. 27Delegates have demonstration of UK’s River Outreach Healthcare Capabilities. 27South West Mission to UAE – March 2016. 27BISEN Member Companies Complete Demonstrations and Phase 1 Trials in UAE. 27Yeovil company plays role in hovercraft and drone 'detect and respond' safety system. 27Hovercraft Capability Companies To Exhibit At Abu Dhabi ISNR. 27BISEN and Clearwater Tracking Solutions Ltd secures a new contract. 27Griffon Hoverwork completes site survey for Petgas. 27BISEN LTD EXPLORES COLLABORATIVE OPPORTUNITIES IN UAE.